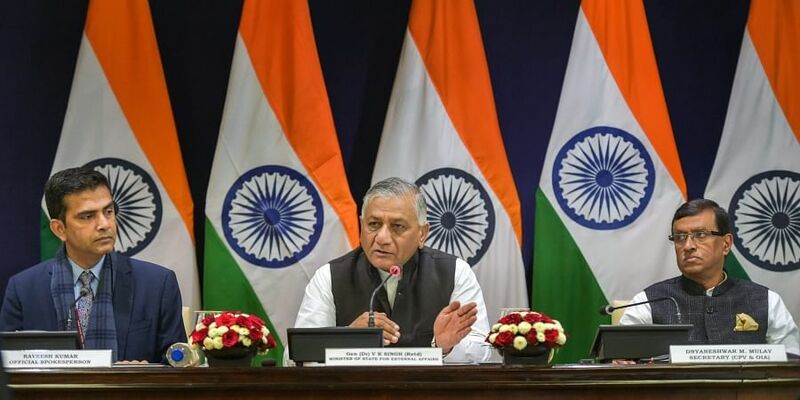 Kumar also posed questions to Pakistan to hit out at the country for supporting terrorism and allowing terrorists to use its soil for targeting other nations. "When they say they are ready for talks, then why do their ministers share platform with internationally designated terrorists. There have been many instances in the past few months when their ministers have shared a platform with such people," Kumar said. He cited some instances such as Pakistan's religious affairs minister Noor-ul-Haq Qadri sharing a public platform with Jamaat-ud-Dawah (JuD) chief Hafiz Saeed on September 30 where both of them made "vitriolic" anti-India statements and the terror organisation opening centres in Pakistan-occupied Kashmir. In December, Pakistan's interior minister met representatives of the JuD terrorist organisation and openly pledged support to them, Kumar said. "If Pakistan is ready for talks then why no action has been taken against terrorists involved in the Mumbai and Pathankot terrorist attacks. Always the matter is brushed aside after talks," he said. JuD and Falah-i-Insaniyat Foundation (FIF) are no longer on the list of proscribed organisations after an ordinance banning them lapsed, he said. "It is clear that the explicit support that banned organisations used to get from Pakistan is still continuing. There has been no change in that," he asserted. The more serious thing is that they are trying to mainstream terror organisations, Kumar said. On Khan's statement on treatment of minorities in India, Kumar said, "Pakistan should be the last country in the world to lecture us on the topic of plurality and inclusive society. We and the world are fully aware how the minorities are treated in their country."